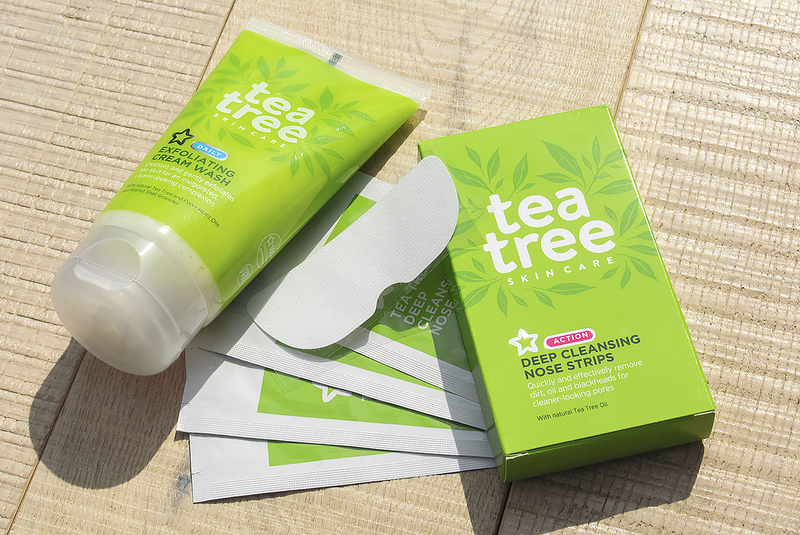 Just as how so many people buy skincare, I saw and bought these Superdrug Tea Tree products because: the packaging caught my eye; the price was good and it was on offer. An often lethal combination. Remember, always ask yourself: why is it cheap and why are they trying to sell it quickly (on offer)? However the Superdrug Tea Tree collection was a really welcomed surprise and I wasn’t let down. The smell of tea tree oil is just intoxicating (has always been one of my favourite essential oils). With a really mild base of water; aloe vera; a coconut/sugar derivative (coco glucoside) and liquid paraffin (great for smoothing and balancing skin oil/water). When you’re suffering with spots and excess oil, the temptation is to dry the skin out to dry up the oil; makes sense right? Nope *Family Fortunes buzzer noise*. Instead of removing excess oil; flood the skin with ingredients that retain water; when the skin is hydrated, it usually will calm down oil production itself. This is the perfect product for that as it’s super-seriously non-drying. The walnut shell is very, very delicately exfoliating and if you’re suffering with spots/blemishes/acne, as long as you’re super gentle, this would be more than gentle enough. Superdrug Tea Tree Exfoliating Cream Leaves my skin clean, not gagging for moisturiser and tingling slightly with Tea Tree and Peppermint oil. Simple. Great value. Impressed. Be careful of nose pore strips, that’s all I’ll say. Once you’ve removed all that crap, you need to thoroughly cleanse the skin; apply a very cold, wet flannel to shrink the pores and then moisturise using an oil-free product to keep those pore surfaces soft and stop them from immediately drying out and turning back into blackheads. It can be such a vicious cycle if done incorrectly. Wet the nose thoroughly. Dry your hands. Apply the strip, really getting it into the ridges and curves of your nose and nostrils. Leave for 10/12 minutes then slowly, from one corner, peel away. The Superdrug Tea Tree Exfoliating Cream Wash is priced at just £3.29 and the Superdrug Tea Tree Nose Strips are £4.39 BUT at the moment buy any 2 mix and match from the range for just £4 (no I don’t understand the logic of that one either). Finally you can check out the rest of the comprehensive Superdrug Tea Tree range here. This article first appeared on MANFACE written by Thom Watson. It was published on Wednesday 29th October 2014 and was last updated on Monday 3rd April 2017 at 1:48pm. It's categorised under Acne, spots & blemishes, Cleanse, Enlarged / Blocked Pores, Exfoliate, High Street, Superdrug where you'll find more related content. I love Superdrug skincare, my favourite is their deep action pore cleansing nose strips, they are brilliant!